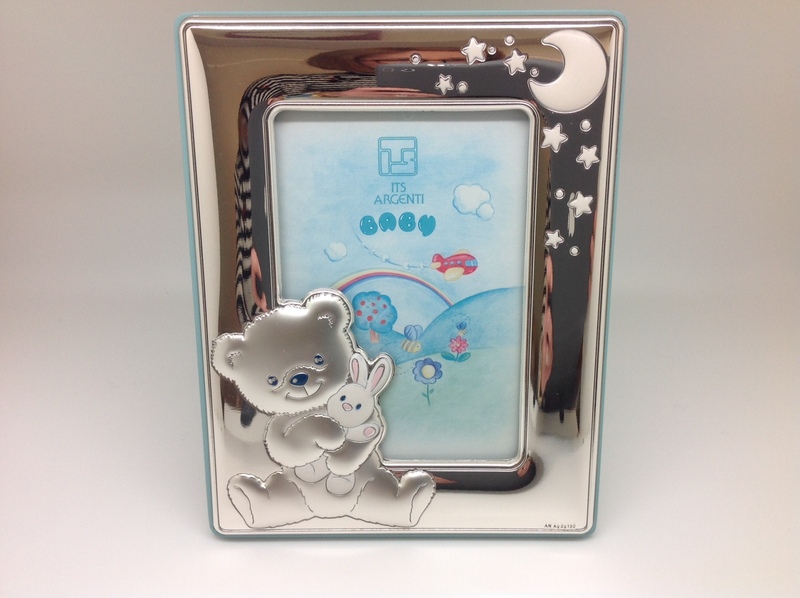 In silver picture frame and baby wood blue. THE measures of the framework are: 14 cm. wide by 18cm: of height and the measurement of the photo: 8 cm by 12cm..